Belly Ring with official licensed MLB charm, Texas Rangers. Body piercing jewelry. 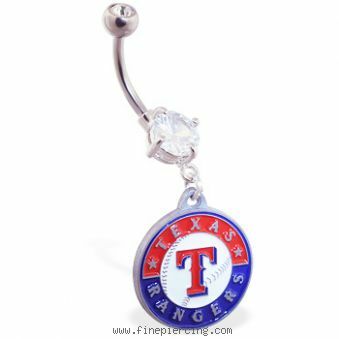 Licensed and Official retailer of Major League Baseball - Texas Rangers Belly Button Ring.